Databases are used in several different situations and can make sorting through a large amount of data very easy. Microsoft Access is a program that makes creating and managing databases accessible to an inexperienced user but is versatile enough to cater to professional, tech-savvy users as well. However, creating a new database from scratch can be a hefty and time consuming process, even through Access. To make things easier, the developers created several Microsoft template Samples. Upon opening a template file, the user would find everything ready for use. 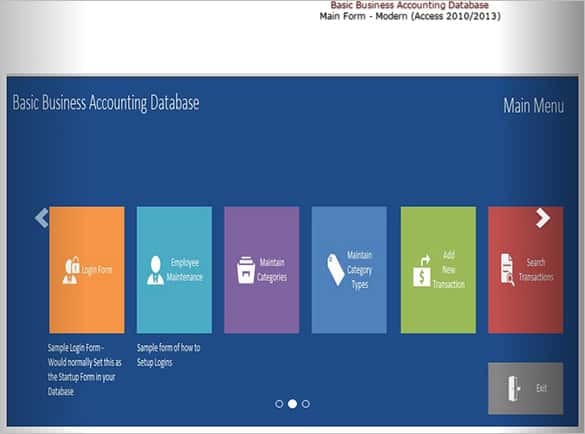 A new database with tables, forms, macros, reports, etc., is created, saving time and effort. For a long time, if users needed a database, they had to create it themselves or hire a professional. Microsoft Access Database templates changed that. With a free database template, the basic structure of the database is already present, complete with tables, forms, etc. The user just needs to enter the data. 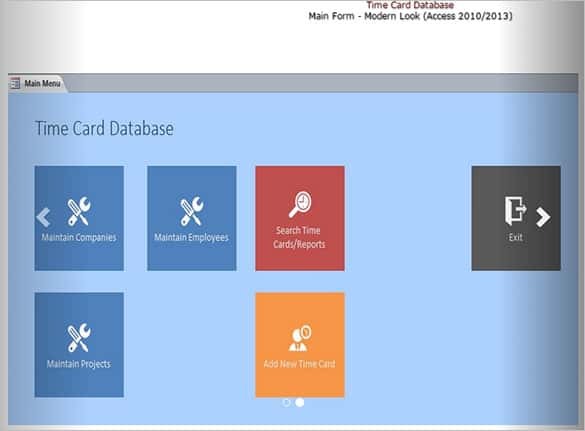 You will get Bug Tracking Access Database Template, Business Account Ledger Access Database Template, Call Tracking Access 2007 Database Template, Classroom Management Access Database Templates Here. At first glance, many users find Microsoft Access intimidating. They hear the word database and think it’s out of their league. Creating a database and maintaining it through Access not complicated at all. 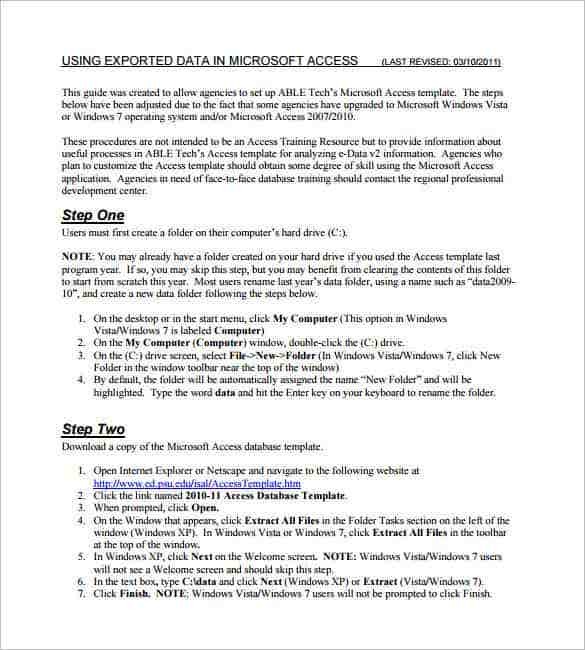 Nevertheless, there are many Microsoft Access tutorials offered through the program, on Office online and other websites. 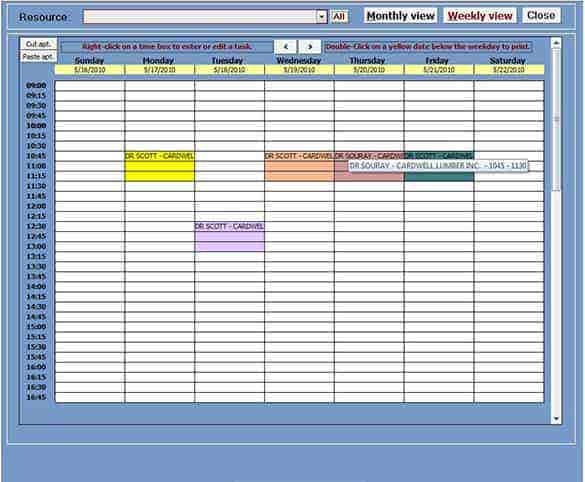 A planner in Access is no simple calendar. It’ll keep track of dates and timings, allow new entries and modifications, etc. 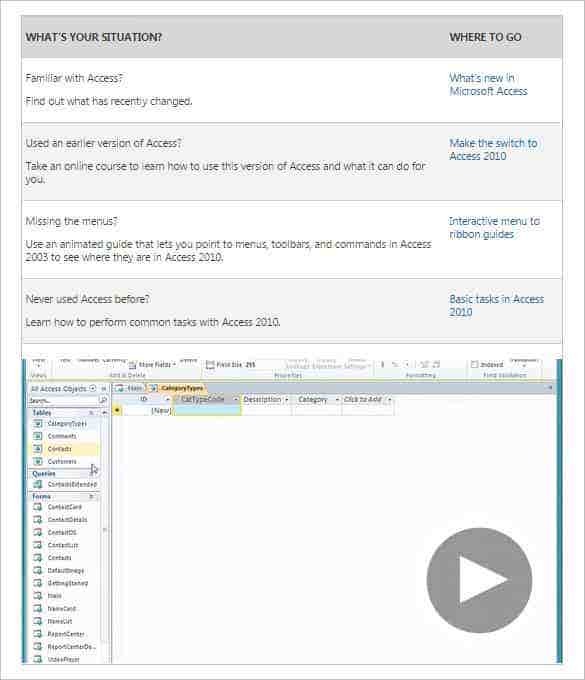 Creating it from scratch is complicated but MS Access Planner Templates simplify it. 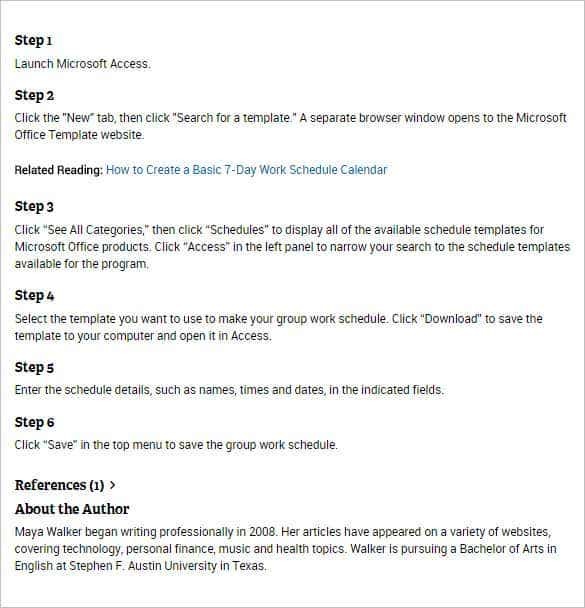 The user can pick a planner microsoft template that suits their purpose and just enter the data. 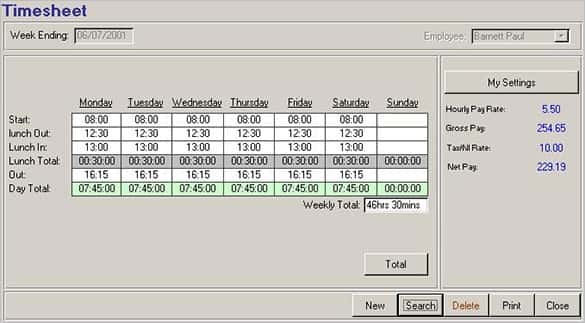 Business, schools and colleges regularly use timetables to manage employee and student schedules. 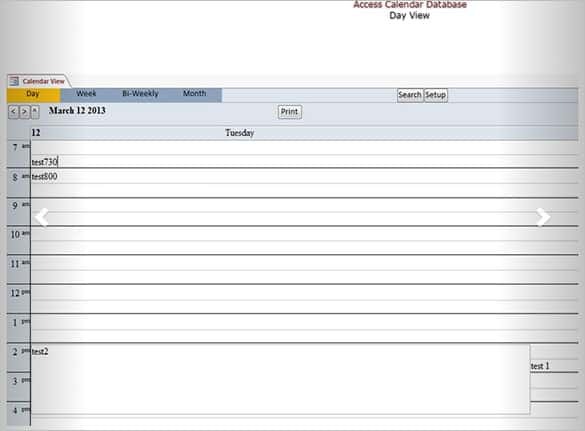 Timetables in Access allow users to manage multiple categories, enter and modify data. MS Access Timetable templates make the process easier. 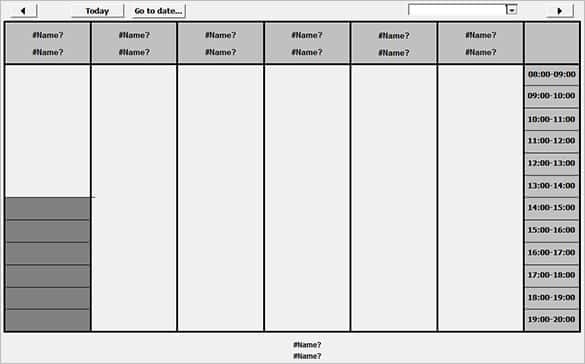 There are a variety of templates available; the user just has to choose one that fits their purpose. You will get more access templates here. Creating lessons plans for different levels and different classes can be an exhaustive process, keeping track of them, even more so. 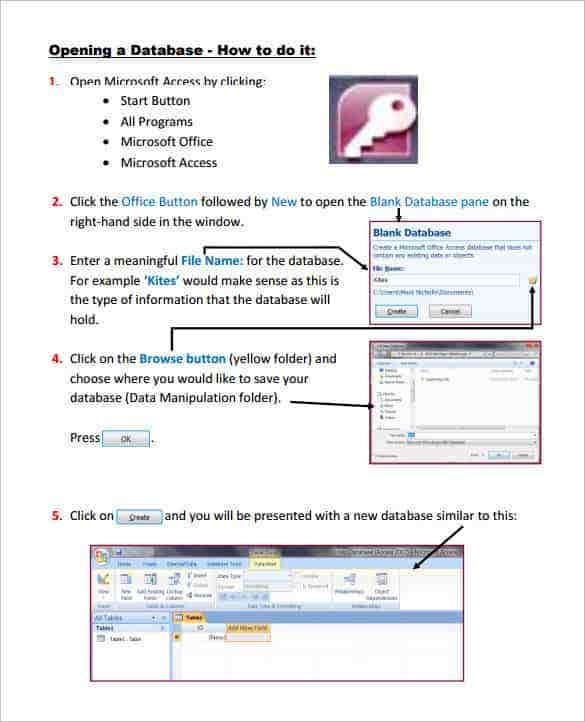 With Microsoft Access, educators can have an up-to-date database with all their plans. 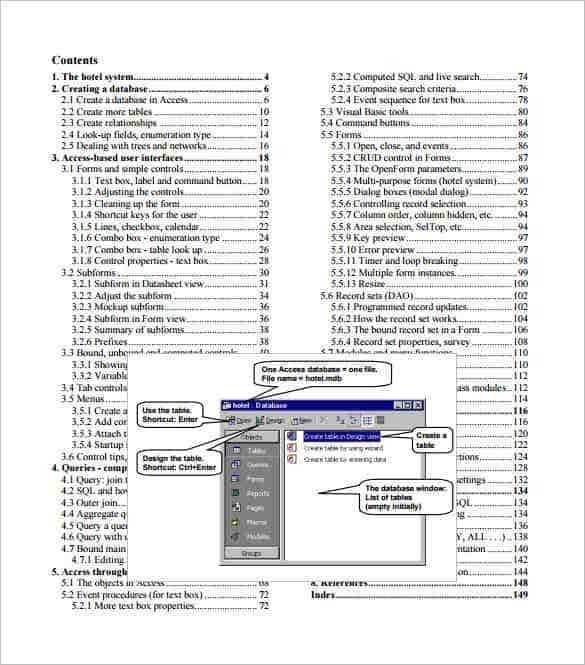 Creating one is just a matter of finding the right MS Access Lesson Plan template in online. 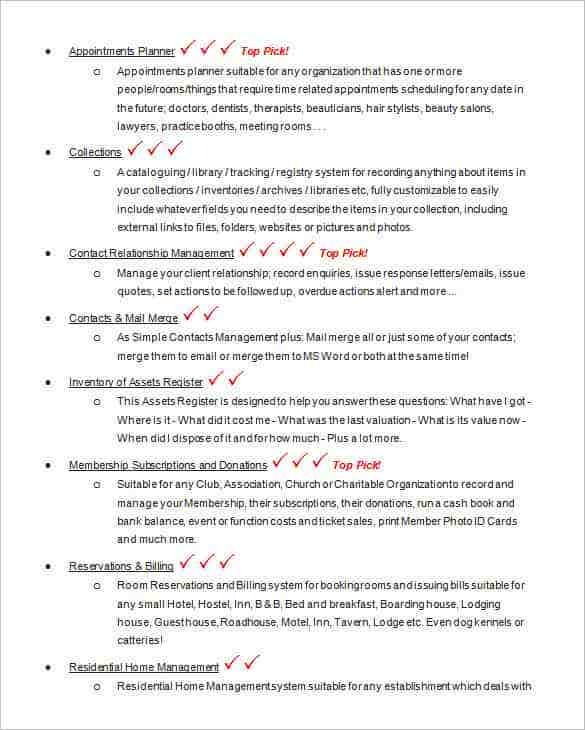 A good schedule is essential for time management in businesses. The best way to keep track of multiple employees is through a database. 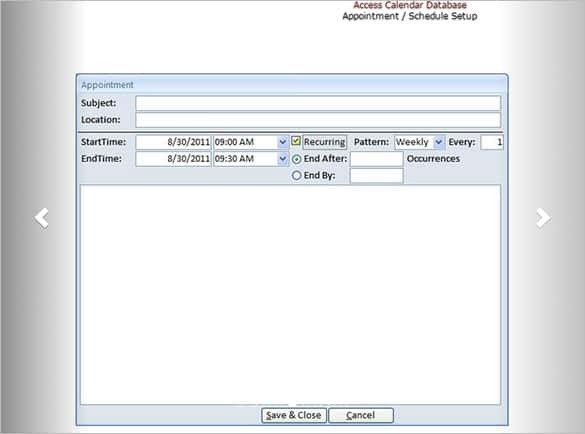 MS Access Scheduling templates help users create such a database. 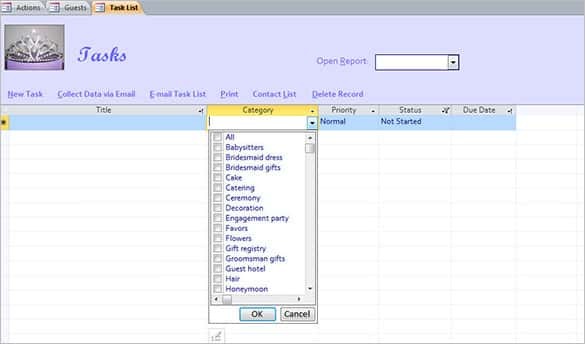 Templates have ready-made tables and forms where the user can enter the data and keep track of their business. Keeping a good track of inventory is vital to any sales business and many chose to hire professionals to create an inventory database for them. 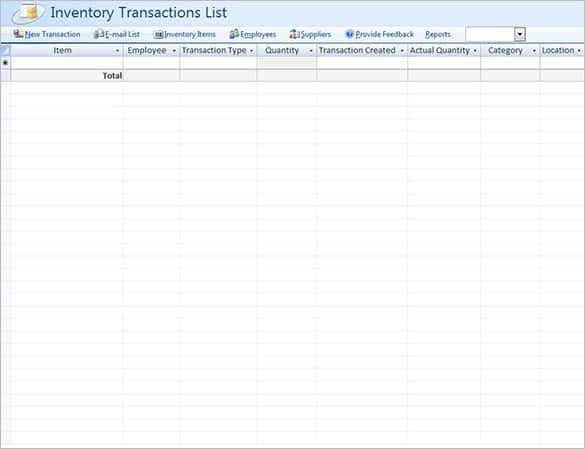 MS Access, however, allows users to create their own inventory database. 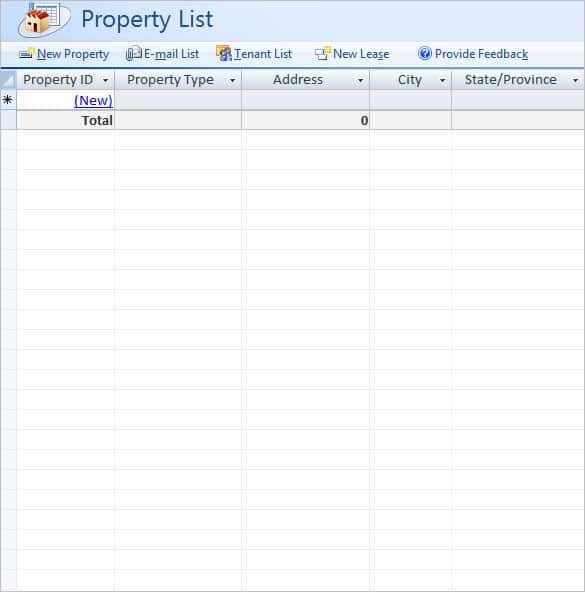 There are many MS Access Inventory templates available online and that allow for detailed inventories. 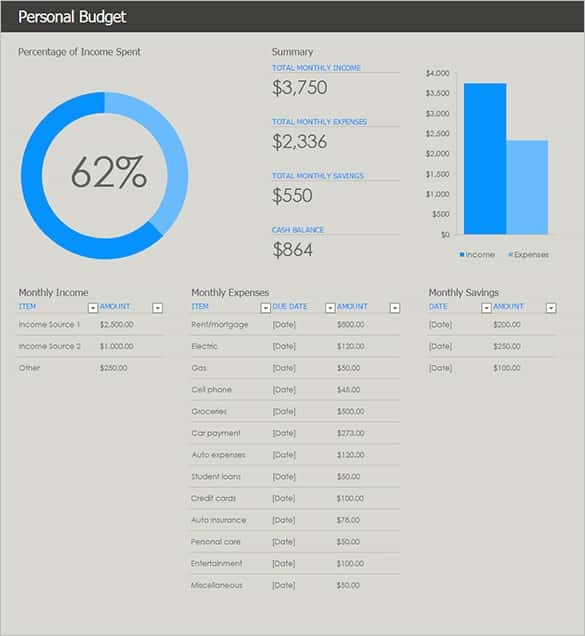 MS Access can be used to manage billings and invoices of businesses and professionals. A user can simply turn their quotes to invoices through Access, manage past invoices, easily bring up records and create new invoices too. Moreover, this takes very little efforts due to MS Access Invoice templates. 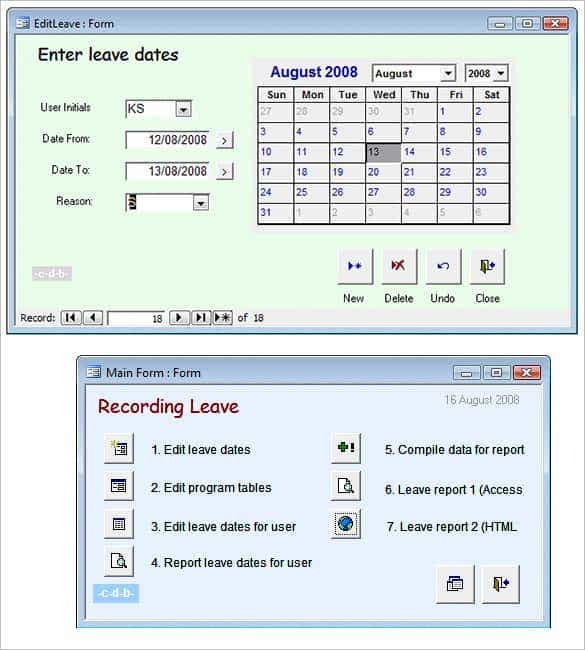 Forms in MS Access act as user interface that allow guests to directly access the database. The hosts can gain input from the guests and enter it to the database and this has a variety of applications. 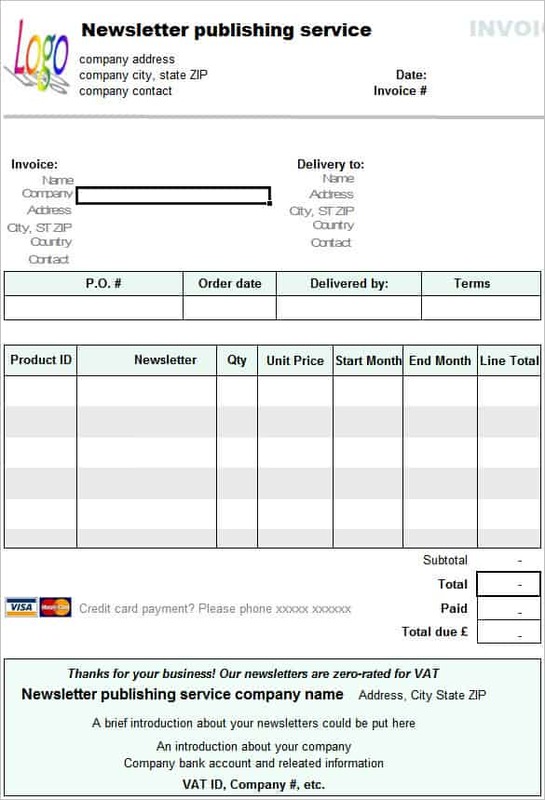 Creating a form through MS Access Form templates doesn’t require much technical expertise. Please find the following links to get Microsoft Access 2003, 2007, 2010, and 2013 Forms! Increasingly, businesses and professionals are using MS Access to keep their accounting in order. Users like the flexibility of Access, which can convert a report or a table to Word or Excel files easily. 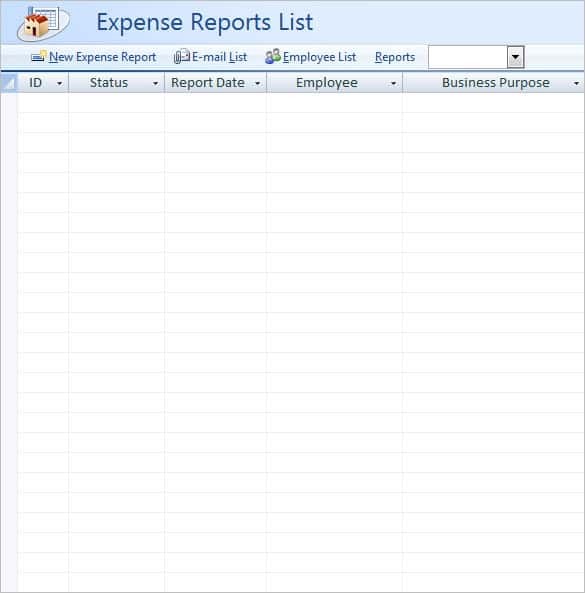 A basic accounting database is easy to create through MS Access Accounting templates and is very popular. All successful businesses have a customer relationship management database. 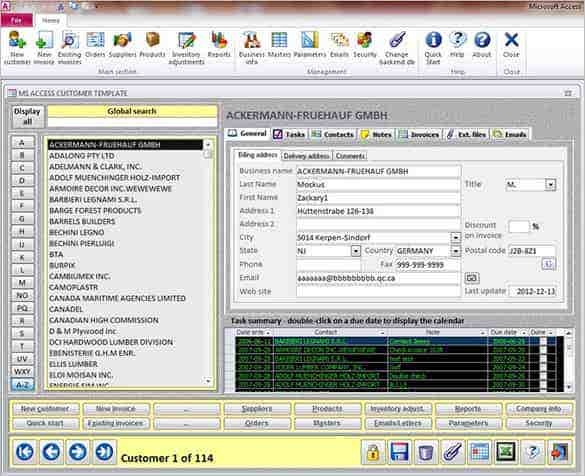 CRM databases store customer contact information, their history with the business, their references and such information. Creating such a database through Access is easy and straightforward. 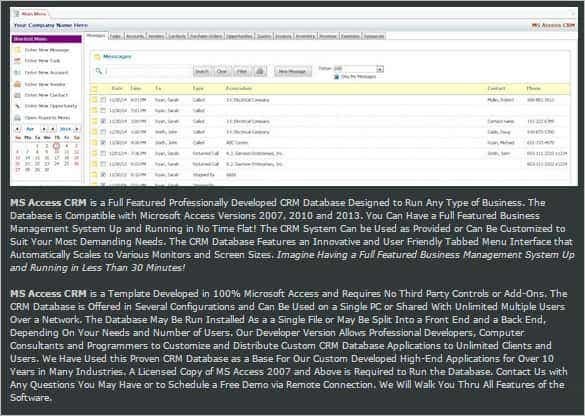 MS Access CRM templates make the entire process simple for a novice user too. A switchboard in MS Access is basically a form. It allows the user to access different parts of a particular database. It’s a useful tool to navigate a big database. MS Access Switchboard templates are readily available and make it easy for the user to create a switchboard for their database. Keeping track of how many hours an employee puts in can be easy with a timesheet database, especially with multiple individuals. The user can enter time in and time out, the number of hours worked, etc. 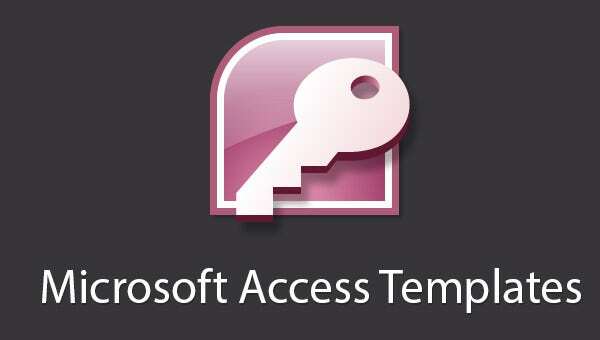 MS Access Timesheet templates come in many versions and some include billing as well. 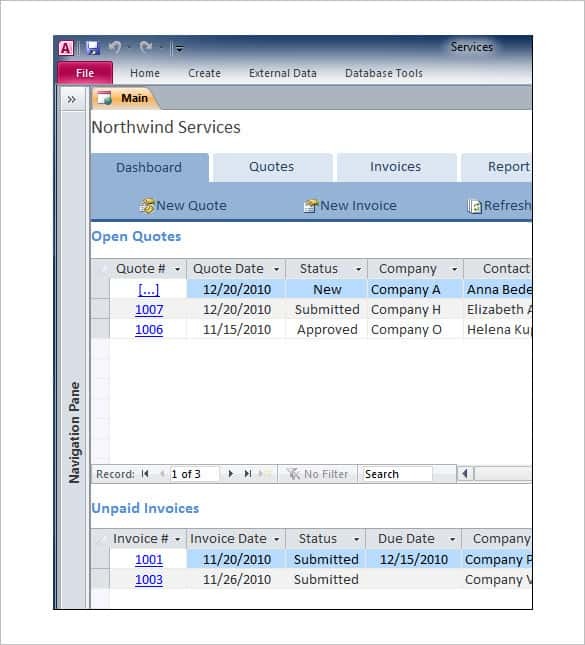 Basic MS Access Business templates contain everything from employee information and schedule to client information and orders. Especially targeted towards small business, these templates allow users to form a vital database with very little expense. With Access, the user doesn’t need to be very skilled in technology. Just basic know-how is enough. Be it a household budget or a budget for a small business or institution, handling that through Access can prove very efficient. There are many MS Access Budget templates available through Office online and other websites. Users can pick a template that fits their purpose and it’s only a matter of entering data. A teacher deals with a number of students and assignments. An Access database would certainly allow them to keep better track of the student grades. There are several MS Access Gradebook templates available for teachers and some are even created for students who wish to keep track of their own progress. Security is important to protect the information within a database. The most basic level of security is password protection. With MS Access, the program can be made to prompt for a password to gain access to the database. There are MS Access Login Form templates available to help the user implement this security. 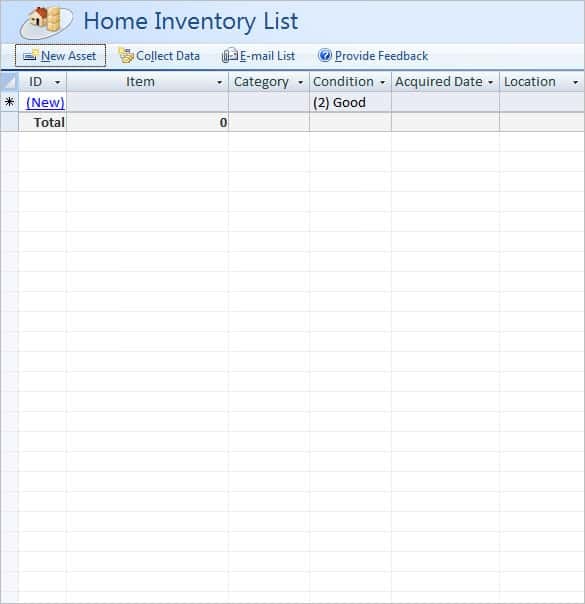 You may also see Access Inventory Templates. Every company uses databases to keep account of its accounting details, customer information, product information and so on. Databases are important in personal spheres as well- say, to list down your monthly personal budgeting details. Microsoft Access is a handy aide for creating databases, whether you want it for your business or personal reasons. It’s a popular Database Management System (DBMS) by Microsoft which combines relational Microsoft Jet Database Engine, graphical user interface & software-development tools. A unit of Microsoft Office applications, Access is used by data architects & software developers for developing application software whilst power users use it for building software applications. It’s supported by VBA (Visual Basic for Applications). What is Microsoft Access Template? 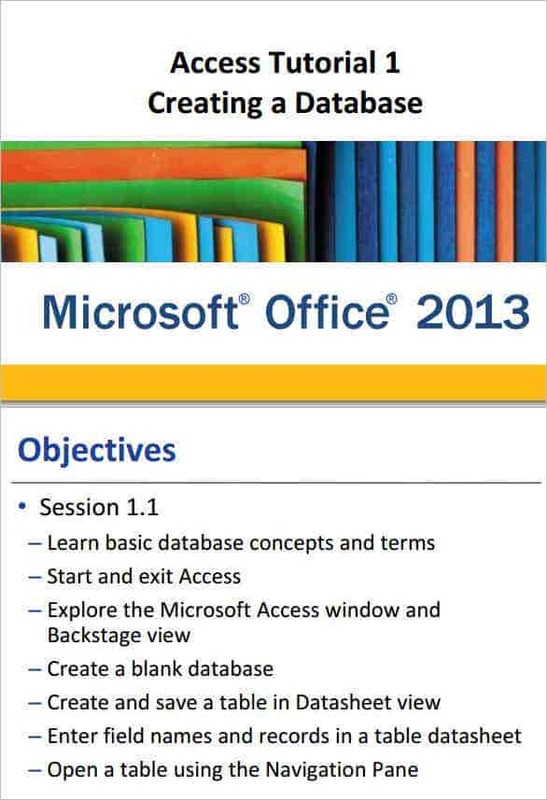 The good part is that the Access 2013 templates are not just for desktop databases. With apps ruling the smartphone world today, you will get Access app templates as well these days. This is one of the most important purpose of taking to access database templates. A database is an elaborate document with all its tables which call for a tedious exercise on your part. Moreover, it’s not always easy to draft a MS Access database from the start when you are not from a tech background. But the ms access templates free download solve the daunting affair for you by offering a pre-structured product so that you can go with your database document right away- saving loads of time & energy on your part. Access not only enables you to store the data but also assures a simple avenue to access your information. It has come up with an important feature termed “Queries” that would scan through the details in your database & offer a table with only the details you are searching for. You won’t have to go through the strenuous process of scrolling through every individual table to track down your needed data. Then, of course, Access is loved for its easy reports for the users. Whilst you have Queries offering the data in tabular format, the “reports” facility will enable you to format reports & attain data summaries- so that you can have a comprehensive idea of the information at a glance. The reports can be further shared among others in your office. Access will work to integrate your database with MS SQL server. When you are using SQL server facility, you would be able to download data into MS Access – and from the very server one can rewrite or edit the data. Before you start with the database on free access templates, you must have a thorough idea on the purpose and what to include in your database. It will further help you to gather the very information needed like product name or order number when you are looking for microsoft access customer database template. Divide the information elements into various subjects or entities like Orders or Monthly income, Products etc. Use separate tables for each subject. 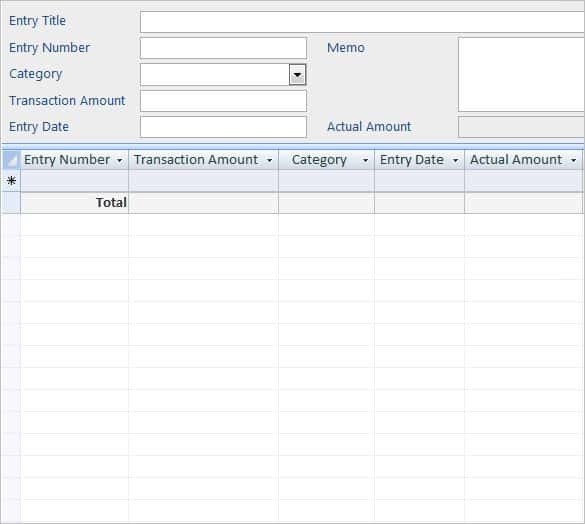 Every set of information added in a table will become a field & would be displayed in columns. 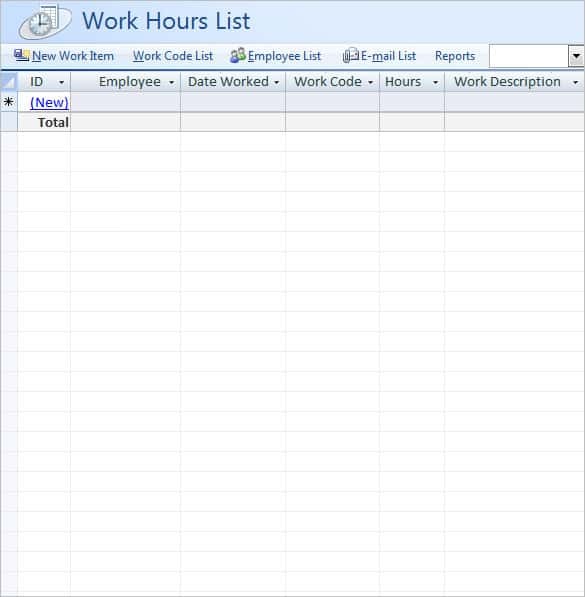 For example, when you are using microsoft access employee database template free download, the Employees’ tables would have fields like Hire Date or Last Name. Then, you have to choose primary key for each table. It refers to a column needed to uniquely locate each row. For example, Order ID or Product ID. 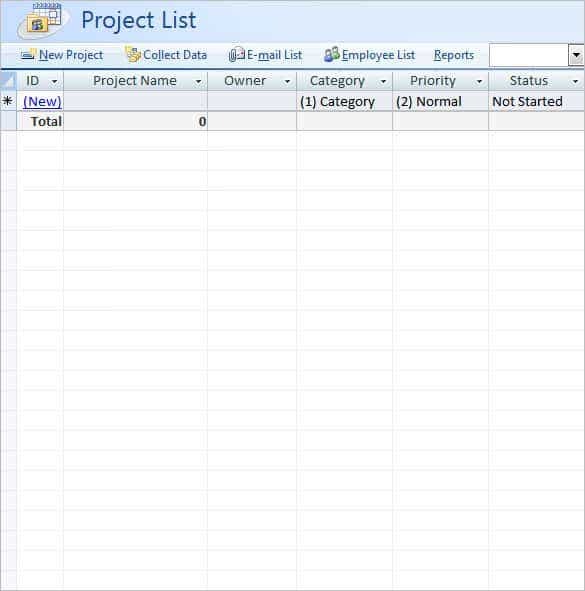 An access template would help you to connect related tables together. 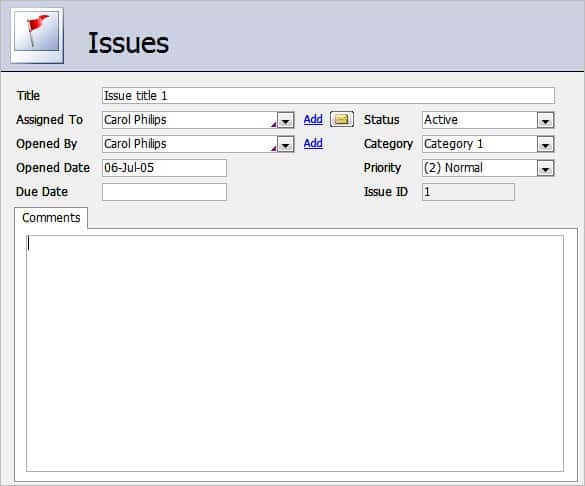 Look at individual tables in your database & find out the co-relations in between the tables. You can add further fields to tables & even create up new tables when you need clarify relationships. If you are on the lookout of Access database template, we are here to help at template.net with our massive collection of MS Access templates. Whether you are looking for free human resource access database template or something for personal budgeting database, we have covered everything for you. Our templates are designed by experts and hence you can be assured of a premium quality here with proper tables, graphs or queries or reports. All our access database examples download are easily editable with your own specific data. We promise you a convenient assistance with your database.